When people open their mailboxes, they often don't think of all the work that goes into getting each item to its destination. 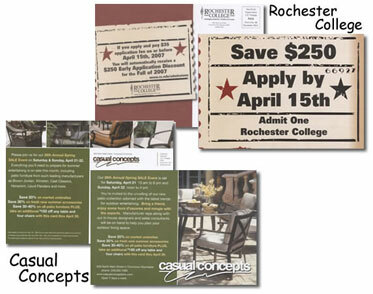 Pontiac Mailing Service handles addressing and mailing of brochures and other direct mail products for more than 100 local businesses. Such businesses include drugstores, hospitals, auto parts stores and many others. We can help with mailing lists, brochures and fundraising materials, as well as banners and yard signs. 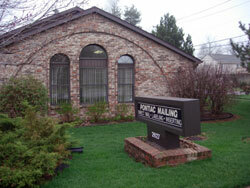 Pontiac Mailing Service is being run by Richard and Theresa, a brother and sister partner team. Their father, the founder of Pontiac Mailing Service, started the business in 1958. EDDM is a service from the USPS that can save you money on postage and saturate your market area. EDDM is a targeted advertising technique that blankets an area by delivering a postcard to every address on a mail carriers route. This type of saturation mailing works best for businesses such as restaurants, dry cleaning, gyms, dentists, salons, retail and many more. We can help you design, print and mail your EDDM piece.